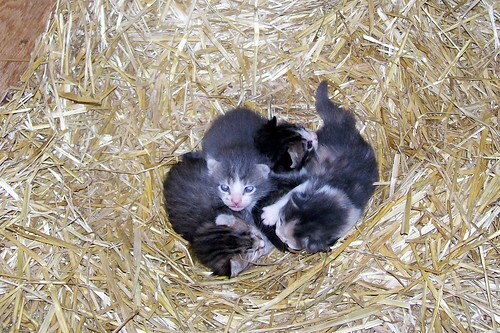 We have a new batch of kittens in our barn. This is a good thing, because we are down to only one female cat, although we seem to have plenty of tomcats. Here’s some pictures of the new arrivals. Actually, they’re already a few weeks old. 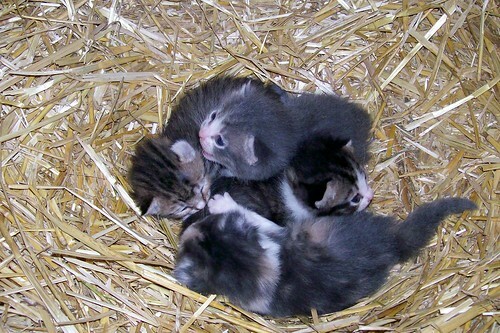 We don’t always find the kittens right away, and that is a good thing because the kids aren’t as tempted to hold them too soon. We have just one left of ours! I can't believe it seems that the cat is ready to do it all over again.